Good day to everyone and I hope your week is proving to be as good as mine is. We’ve had some fun around here; a house full of visitors from the UK has kept me on my toes, our summer swallow chicks have flown their nest and we’ve been having some amazing daily thunderstorms which are unusual for this time of year in Cyprus. Changing weather patterns? All things literary; yesterday I posed for photographs for an article in one of the papers, and yes, I am unashamedly going to say that, The Assassins’ Village is doing fantastically well on Amazon.com and Amazon.co.uk –thank you once again, you fabulous readers! Finally, on this theme and all being well, The Assassins’ Village will be available in paperback within a month or so…I’ll let you know. 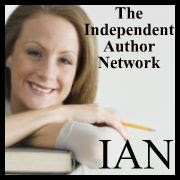 For today, I have another interesting author as my guest for Authors’ Mastermind. I do hope you enjoy her question and answer session. It’s amazing how different we all are and how we interpret our lives and why we are the way we are. Enjoy your read. Good evening and welcome to today’s edition of Authors’ Mastermind. My name is Faith Mortimer and I welcome tonight’s first contender. Could you please state your name and occupation? Tracey Alley, full-time writer, part-time student. FM.Thank you. Can you tell us your chosen subject? FM.Now would you please answer the following questions on your chosen subject? You have a maximum number of 250 words on each question. If you do not know the answer, say pass and we’ll move on to another question. The total number of passes will be counted and deducted against your final score. Are you ready? Good then I’ll begin. 1. Tracey Alley how do you describe yourself; as a writer and as a person? As a writer, hopefully a good storyteller. As a person, hopefully a decent human being. 2. Do you do anything that would tell us you lead an interesting or indeed a crazy life? I have a large family and a wide and eclectic group of friends and tend to be a bit of a mother hen so I’m often in the middle of advising someone else’s dramas – for myself I like to constantly learn new things – some work out, some don’t like my recent roller blading exercise, fell flat on my behind and ended up flat on my back for three days. I’d also love to go diving with great white sharks so I’m learning to scuba dive this winter – not sure if that’s interesting or crazy but that’s just me. 3. Briefly, describe your journey into writing your first book and what or who inspired you? The first full scale novel I wrote was a semi-autobiographical novel about a woman who moves to New Zealand and becomes the victim of a stalker. Although I juiced it up a bit the stalking part actually happened and at one point I had round the clock police protection while they tried to catch him. The story is probably very interesting but the book was very badly written. I might go back to it one day. 4. Are you working on anything right now? Either answer this question, or if you have no work in process, skip and go to the next question. Yes, I have three current WIP’s, one is my series of children’s books, which I’m hoping to have published by Christmas, the other is a mystery/thriller that has been knocking around in my brain for a while now and the other is a sequel to The Witchcraft Wars fantasy series – not sure which will end up being published first. 5a. Do you ever struggle with parts of the book you’re working/writing on? My biggest struggle is always a tendency to try for perfection; something I know I can’t achieve but I tend to keep tweaking novels long after I should’ve left them alone. 5b. What is your next book about, and where do you get your ideas from? My next book, or at least the one that seems to be flowing the smoothest, is a mystery thriller called The Jenny Factor. It’s about twin sisters, one of whom is a bit flaky and irresponsible so when she goes missing, the question becomes; is she in trouble or just off on one of her many adventures. Her sister, Beth, is convinced that Jenny is in trouble but has great difficulties getting anyone to take her seriously because of ‘the Jenny factor’. It’s coming to me remarkably easily and I love the characters. 6. How would you define your writing, working day? Give us some indication of where you work, and the length of time you spend on your project. I have a wonderfully decked out study with bookcases full of reference material, books and journals etc. that I might need. It’s at the back of my house so it’s quiet and my desk faces a blank wall – I find that easier to use, as a way to see the book I’m writing unfolding. I tend to write in the mornings for about four hours, take a break and then write for four to six hours at night. It’s hard to have a truly defined schedule though as if the story is really flowing I tend to break only to stretch my back or get more coffee. (Tracey laughs). 7. Tell us about characterisation. How do you develop your characters? Do you feel they are important in the overall picture? Do you ever base them on real people? Characterisation is critical, without believable characters the whole story, no matter how good becomes worthless. Often my characters just come to me, almost like a little voice in my head that grows into a fully-fledged character and they tend to come before I’ve conceptualized the story so I feel they are extremely important in the overall picture. To me, basically, a story is about a group of characters and something that happens to them – the characters are the story. Yes I have, very loosely, based them on real people but I’m pleased so say that no one, yet, has ever recognized themselves. 8. What about the editing and redrafting process? When do you do this? That’s partially done as I go along, I’ll write several thousand words and then go back and make sure they’re working for the way the story is developing. I also do a redraft and edit when I’m finished – checking for continuity, any plot holes etc. Then once I hand the MS over to my editor, comes the final draft, last editing and a final read through where I do a little more tweaking to make it as good as possible. 9. How have you overcome any trials and tribulations of rejection? I consider that I’ve been exceedingly lucky, while I have enough rejection slips to wallpaper my house I believe I’ve learned from every one of them. I’ve also been very fortunate to receive some genuine feedback as well as stock rejection slips so that has helped enormously. 10. If you were not writing, what would be your choice of employment? That’s a tough one; I can’t imagine not writing, even if I weren’t published. I worked in administration for many years and tried my hand at teaching but I believe I was born to write so I’m fortunate that I can. Thank you. Your score on your chosen subject is 9. You answered 5a as well as question 4, so I’m afraid you lose 1 mark. A very good effort. Now for the General Knowledge section. 1. Which book(s) are you reading at the moment? 2. Name your five favourite authors. I’d like to invite Muhammad Ali, Gandhi, Akhenaton, Terry Pratchett, and Marilyn Monroe. I’m not a fabulous cook so I’d probably start with salt and pepper Calamari, and then make my famous French Roast Chicken with vegetables – the secret is in the French Mustard, bacon and corn stuffing. Dessert would be chocolate mousse with cream – it’s the only dessert I know how to make. 4. Do any authors inspire you? If so, which ones? I think the two authors that have inspired me the most are Terry Pratchett, his satirical view of the world and smooth writing style are incredibly easy to read yet slip in a moral lesson with the reader barely noticing. The other would be Agatha Christie; her characters were so three dimensional, flaws and all, that the stories themselves seemed alive. (Good answer, as I write in an Agatha Christie style. FM). 5. What things in your life would you love to do that you haven’t yet achieved. Your answer should NOT be ‘become a rich and famous author’. If you fall back on this answer, then 3 marks will be deducted from your overall score. I’d love to learn to scuba dive and go diving with great white sharks, love to learn photography and would love, love, love to go to Egypt. 6. Describe your ideal day; working and leisure (only clean answers please). 7. What has been the most memorable thing that has happened to you in a, your writing career and b, in your private life (again, only cleans answers will be accepted). 8. Are you a disciplined person in everyday life? How would/does this reflect in your writing? I’ve never really been a disciplined person as such, I’m much more fly by the seat of my pants but I do have a form of organized chaos. I understand it even if no one else does. 9. Do you keep a dart-board handy with rejection letters from Publishing House editors’ photographs pinned to it? If so, what is your highest score? No dart board. I do have an ‘inspirational’ board that has quotes, sayings or little reminders of the things I want to do and the person I want to be. 10. What are your five desert island books? Tie-breaker question. Tell us the most outrageous/embarrassing thing that has ever happened to you. What were the consequences? A bonus of 5 extra points will be awarded to the best answer from contenders to the Authors Mastermind Crown. On my honeymoon my husband and I decided to go skinny dipping in the early hours of the morning. It was a smallish hotel and we didn’t expect that there would be anyone around. We also forgot to bring towels – having gotten used to the beach towels being handily placed on the banana lounges by the pool during the day. We were both very young and one thing led to another until a sudden cough announced the presence of the hotel manager. Fortunately it was dark so my bright red countenance couldn’t be seen although the rest of me was as I made a dive for my clothes. These days I’m much more careful where I go skinny dipping (Tracey laughs). Thank you. Your time is now up. You managed to complete 8 questions with 2 passes as you ignored questions number six and seven. Your overall score is 17. You are now tying with last week’s contender, Sarah Barnard, who unfortunately did not complete the tiebreaker question, so on point aggregate you will be one place higher. Well done and we shall see how you do against the other contenders.